A lot of emphasis has been placed on the necessity of good oral health and the role it plays on overall health, and vice versa. Studies confirm that a healthy diet and exercise, along with proper oral hygiene, help maintain healthy teeth for a lifetime. People search for foods rich in vitamins and mineral to promote healthy teeth and gums. One underrated source of nutrition is nuts. 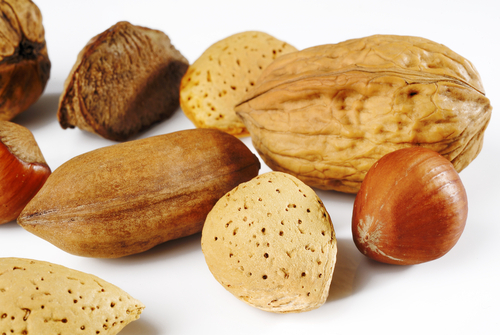 Many people believe that because they contain fat, nuts shouldn’t be consumed often. I’m Dr. Randy LaFrom, a Cupertino family dentist, and I want to debunk the myth that nuts aren’t good for your oral systemic health. Walnuts contain high levels of omega-3 fatty acids to fight inflammation. Almonds are rich in vitamin E, a powerful antioxidant. They help maintain sugar levels and increase the good bacteria that improve the body’s immune system. Cashews provide the body with a good source of iron and magnesium. Low levels of iron weaken teeth. Magnesium helps retard dental caries, the disease that causes cavities. Pecans assist the body’s immune system to ward off infection with their high levels of vitamin E.
Brazil nuts pack more than 100 percent of the daily value of selenium. This mineral may help prevent certain cancers by neutralizing harmful free radicals that attack healthy cells. Macadamia nuts, rich in calcium, help strengthen bones and teeth. Hazelnuts prove beneficial to oral and overall health in that they are a good source of vitamins B1, B2, B6, E, calcium, iron, zinc, and potassium. Unfortunately, too few people are aware of the benefits of nuts for oral and overall health. If you have concerns about how vitamins and minerals affect oral health, or you need a thorough dental cleaning and checkup, contact my Cupertino family dentist office at (408)996-8595 to schedule an appointment. I care for residents of Cupertino, San Jose, and surrounding areas. ~ by cupertinodentist on April 22, 2011.